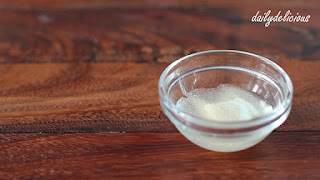 I think some people believe that making sweet, you need a lot of equipments, but the fact is you can make many things using only basic things that you already have. 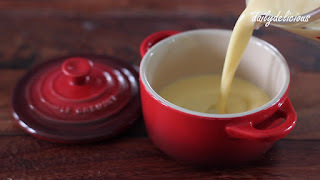 Like this custard, you don't need an oven to make this delicious and comfort sweet, just only saucepan (and a fridge ^^), that's all. It's so easy. 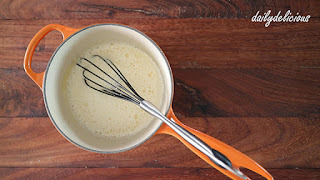 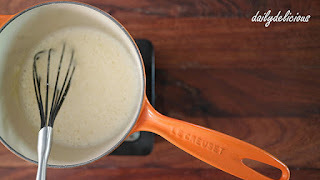 The only thing that you have to pay attention is when cooking the custard over the heat, remember to keep whisking, and don't let the mixture boil. 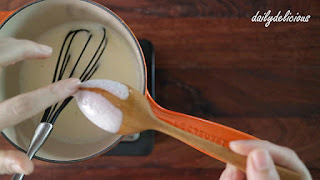 Just heat it until hot (you will see a steam coming from the custard), if you have a thermometer, it will be easy to check the temperature but you can check by drawing a clean line through it on the back of a spoon too. 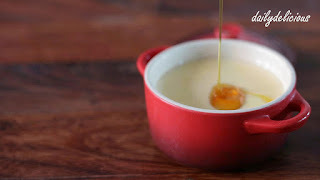 But as long as you don't let it boil or curdle it will be Ok, because the custard will set with the power of the gelatine at the end, haha. Sprinkle the gelatine powder into the water. 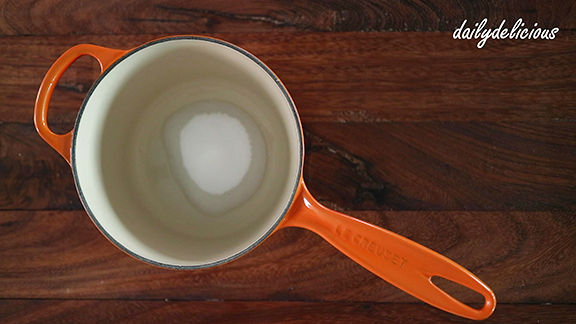 Let it bloom for at least 5 minutes. 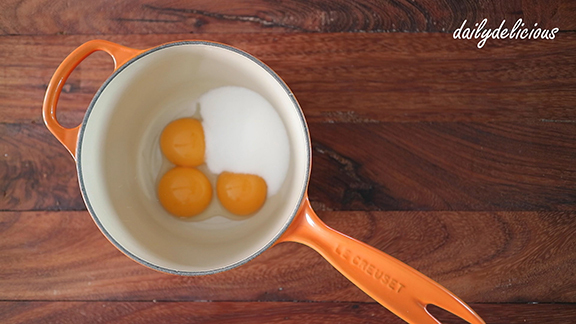 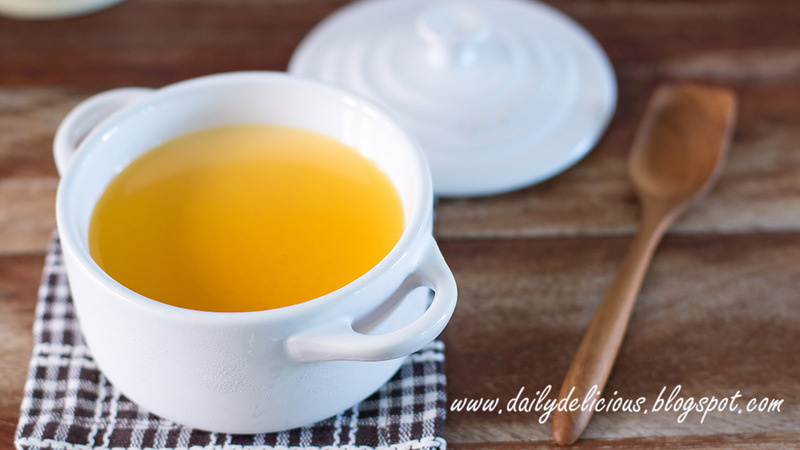 Put the egg yolks, sugar and pinch of salt into a saucepan. Warm the milk until hot and pour into the saucepan, whisk all the time. Place over low heat whisk all the time. 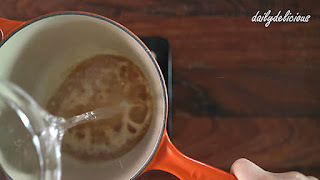 Cook until thicken (about 80C), you can draw a clean line through it on the back of a spoon. 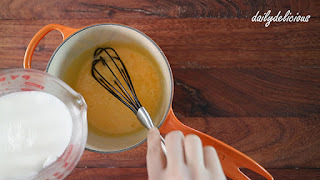 Pass a mixture through a sieve. 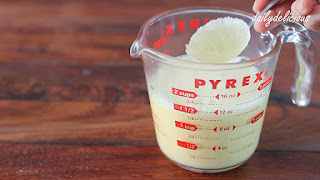 Stir in the bloomed gelatine. 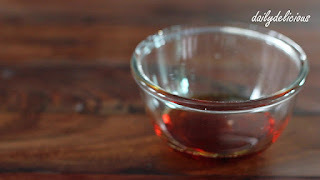 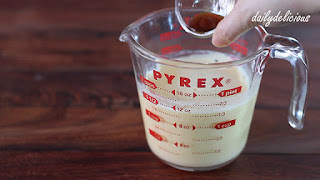 Mix in the vanilla extract, and let the mixture cool completely. 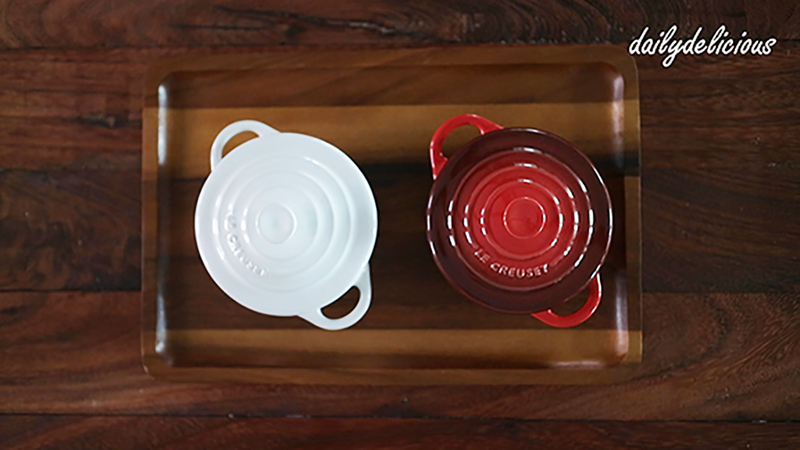 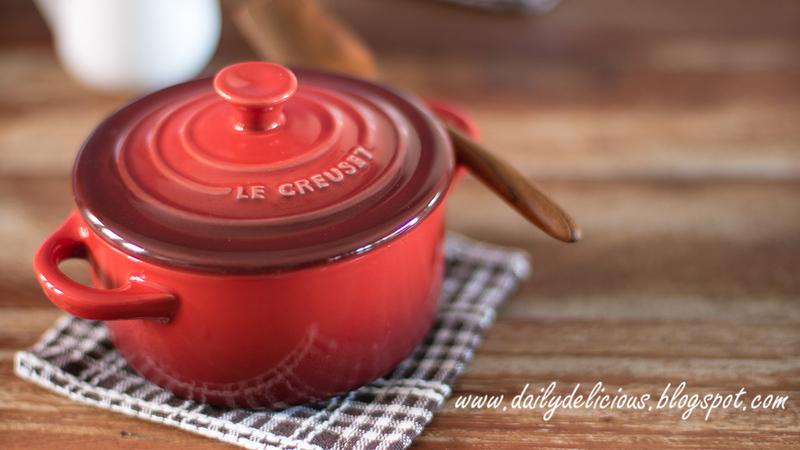 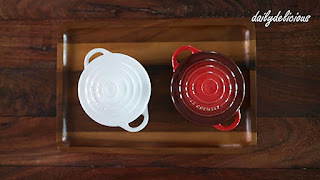 I use 2 Le Creuset cocottes ^^. 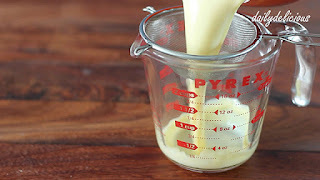 Refrigerate for at least 3 hours or until set. Put the water and sugar into a saucepan. 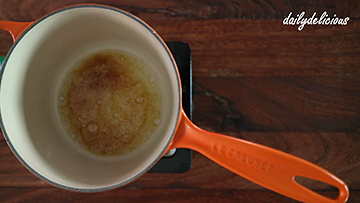 Place over medium heat until caramelised. Pour the hot water into the saucepan, tilt it until combine. 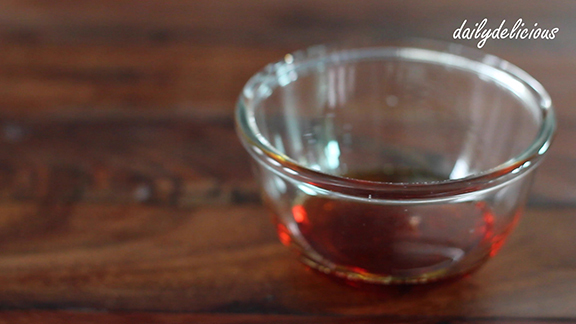 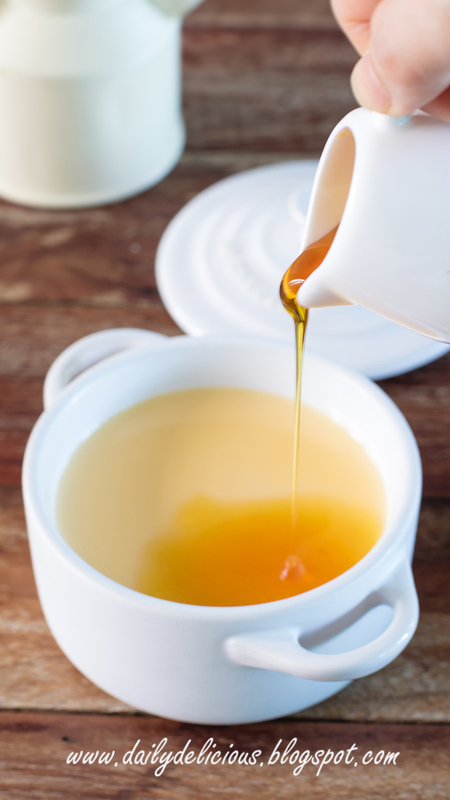 Pour into a cup and let it cool completely before using. 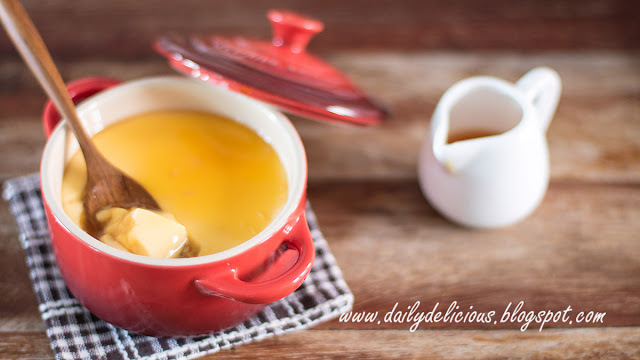 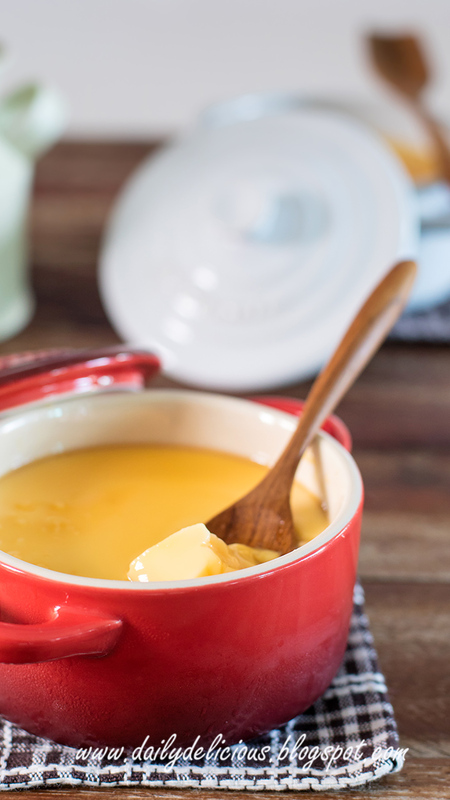 Serve the custard with caramel sauce, and enjoy!